(June 2004) As the weather warms and the last vestiges of what seemed an interminable winter dissipates, New Englanders now find themselves at the beginning the film festival season. One after another, festivals will dot the landscape. From avant-garde, mainstream, gay and lesbian to student fests, something for everyone’s tastes can be found. The festivals, large, small and in-between not only provide an outlet for little seen work, but provide a respite from the typical Hollywood fare that opened in May with the critically trounced, though box office golden, “Van Helsing.” None will be screening films with the $160 million budget of Wolfgang Petersen’s “Troy.” None will have films with the built in market of the latest Harry Potter adventure. Making independent films has never been an easy proposition. Getting them screened with the plethora of festivals is another story. The odds are still high. Not Powerball high, but up there. And being screened is not a guarantee of positive reviews, getting an audience, or even being on the map. Getting lost in a festival is a strong possibility, particularly a start-up event that has not built its audience. Then again, many of the regional fests play many of the same titles so breaking through some pre-set barriers makes for a difficult journey. So what do filmmakers and media artists do to create a living for themselves in our region? What do the graduates of the many New England film schools aim for other than being small fish in an even smaller pond? Do their degrees have any value and more importantly how many can stay here and survive undertaking the craft/art they learned? 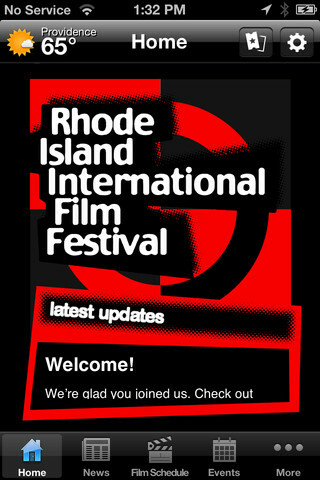 These are questions I hear all the time with the Rhode Island International Film Festival. Up until recently, with the hiring of the dynamic Steven Feinberg at the RI Film and Television Office, filmmakers coming into Rhode Island were given minimal attention unless they had budgets in the seven digits. That’s why they called us. Our name has Rhode Island in it and the natural assumption was that we had the inside track on the state film business. A lovely thought, but only true as we’ve grown, built alliances and a sizable alumni of filmmakers who have screened their work with us. That’s taken eight years and we still don’t have an inside track. Like Blanche Dubois, oftentimes we have to depend on the kindness of strangers to clue us in. It’s not an exact science nor does it have any guarantees of exactness. Feinberg is beginning to change the direction of the state film office and offers a ray of hope to what had been a moribund environment. Rhode Island was never Hollywood East and the Providence Renaissance was a public relations ploy. Many came, discovered a hard reality, then they moved on. The talent drain that occurred is one of those victimless crimes that costs more in the long run when you come to realize what has been lost and just who are no longer around. Or to put it bluntly, what skills now need to be imported since talent based here has left. “Guild or society that I could join…” What an excellent question. The answer of course is that no such animal exists. Sure, there’s the National Academy of Television Arts and Sciences, but their work is more broadcast oriented. What exists for the lone filmmaker, editor or craftsman? What do you do beyond working at a cable access station, even one as excellent as CCTV in Cambridge? After a lot of brainstorming, meetings and research, a germ of an idea surfaced: create a regional Film and Media Arts Alliance. Link it with existing film offices on a state-by-state basis and the numerous film festivals that are portals of entry for new work. Use this mechanism to spur dialogue, mutual support and cross promotion thus reducing redundancy, inefficiency and becoming a real resource for the region’s many artists. The name we developed? The New England Alliance of Film & Media Arts. Given the size of our region, it made more sense to not limit our thinking to Rhode Island exclusively. After all, if Rhode Island is the size of a city-state, then New England is equivalent in size to a western state. As we began creating the concept for the New England Alliance of Film & Media Arts, we learned that an estimated 300 films are shot in North America every year. This includes motion picture, television, commercial production, music, animations, and internet/new media. Approximately 60 percent, or 180 films, choose Canada due to reduced production costs caused by incentives, a favorable exchange rate, or both. Of the remaining 120 films, few choose the New England region. The breakdown has approximately 50% of the films being developed in New York, California or other States. Rhode Island has been automatically excluded due to the lack of infrastructure (studios, stages, back lots, and film crews). From this realization, we played a bit more with the idea and came up with a regional strategic plan, all based on filmmaker input and suggestions we’ve heard over the last 23 years of our parent organization, Flickers (the creator/producer of RIIFF). Now I must qualify that this is far from perfect, but it hopefully will provoke feedback and additional thought. If it could become a reality, that would be a beautiful thing indeed. This Strategic Plan was designed to make the New England Alliance of Film & Media Arts more competitive by achieving five main goals and implementing short- and long-term strategies. By attaining the goals, the New England Alliance of Film & Media Arts would be vaulted to a prominent position for the production of national and international films and media arts projects. The short-term strategy would call for an immediate plan of action for the Alliance. The long-term strategy would allow the New England film and media arts community to work in unison with the New England Alliance of Film & Media Arts by creating the necessary infrastructure. • To work with State and local governments to develop the appropriate human, financial, and technological infrastructure required to be a viable location. • To create an environment conducive to independent film and media arts production. • To develop clear guidelines for accountability, including but not limited to administrative and financial responsibility. • To develop funding through both government and private sources to ensure a continuous financially stable environment for its own growth and prosperity. • To link film office and film festivals in the region creating dialogue, collaboration, cross promotions and ending useless competition. With the goals in place, we developed both short and long-term strategies that we felt would make the Alliance a reality. 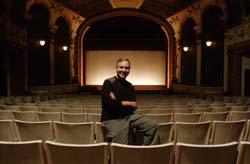 Increase the amount of film activity in New England through aggressive marketing to film production companies. • Review film incentives geared to film production from the top ten states and Canada. • Review on a state-by-state basis the current incentives dedicated to film and media arts production in order to determine the viability vs. incentives offered by major competitors. • Draft legislation for introduction in the second session of the various state General Assemblies based on best practices and most innovative ideas. • Develop a marketing strategy for the region as an entity, not simply on a per state basis. • Publish a true comprehensive guide of regional film and media arts procedures that is inclusive of each state for use by film and media producers. 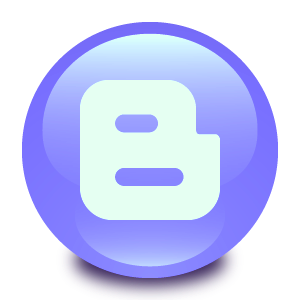 • Develop a website that serves as a database and includes its own search engine: an evolving site that will publish a monthly “e-zine” updating film and media arts activities state by state and regionally. • Create/expand the list of key film production staff and local union representatives and contact these individuals/representatives a minimum of three times a year about opportunities or new programs in each state. • Determine new and unique services to offer film and media arts producers; i.e., expansion of each state’s talent profile sources, list all regional casting agencies and talent sources and create new entry portals for young talent leaving academia and entering the workforce. • Develop, catalog and expand a location photo library to include more of each state’s unique resources and develop a regional directory that builds on community outreach and accessibility. • Support and attend a minimum of five film festivals and appropriate trade/film shows outside the region building partnerships and alliances to draw people to New England. • Expand promotion and involvement in New England’s own film festivals; build linkages and cross promotion with all such events. • Develop and maintain relationships with a select group of other states’ film associations with similar demographics to each New England state in order to share ideas and strategies. Film and Media Arts in New England. • In conjunction with the each state’s Office of Higher Education, compile an inventory of current courses specializing in media arts and film production at all public higher education institutions, including technical colleges. Additionally, create a listing of all high schools that offer introductory media/communications courses. • In conjunction with the each state’s Office of Higher Education, review film programs offered at other public education institutions, including technical colleges, throughout the United States to determine components that would help improve New England’s position. • Facilitate private sector infrastructure projects with individual State/private financing sources. • Create a financing program (example: revolving loans) in conjunction with lending institutions and a possible match from federal/state sources. • Explore the creation of a public/private financing pool. Targeted at Studio and Independent Film Producers. • Provide an opportunity for independent films and media arts projects shot in each state to be premiered and reviewed at indigenous festivals. • Sponsor a regional script writing competition featuring New England locations and/or characters. • Create a marketing plan to work with other annual regional film festivals and build a base for cross-promotion and support. • Develop with each of these festivals a series of Film and Media Arts Forums and seminars on a tri-annual or quarterly basis. Film Production to State Leaders. • Develop ongoing educational initiatives with state leaders regarding economic advantages of the film industry. • Commission the creation of an economic impact model that reflects the dynamics of the film production and media arts industry. Possibly. This is only the beginning stage of a dialogue that needs greater input. I am convinced that the long history of provincialism, protectionism and isolationism must end. If we are to be competitive in this industry, then we are much better served if we act as a united team rather than disconnected areas of self-interest. If we are to better serve and retain the young talent that we train in our great institutions of higher education, then a new approach must be taken. Leadership requires the capacity to envision the impossible and create new realities.